Premium Stainless Steel Taco Holders Stand. Simple yet innovative design for ease of use. Compact size, smooth edges, dishwasher safe. Each holder has 2/3 pockets to hold up to 2/3 tacos together. 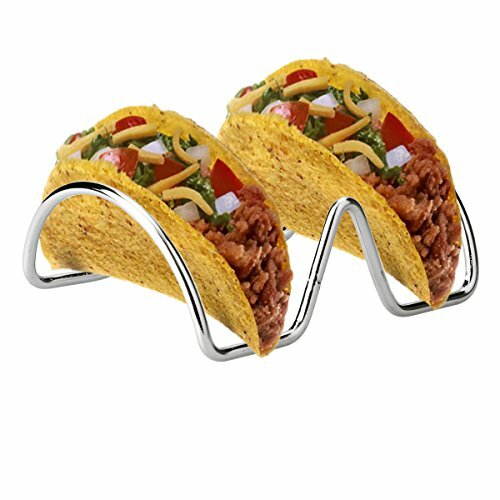 Multi-purpose taco holder for personal or business usage.